Welcome to our new website. 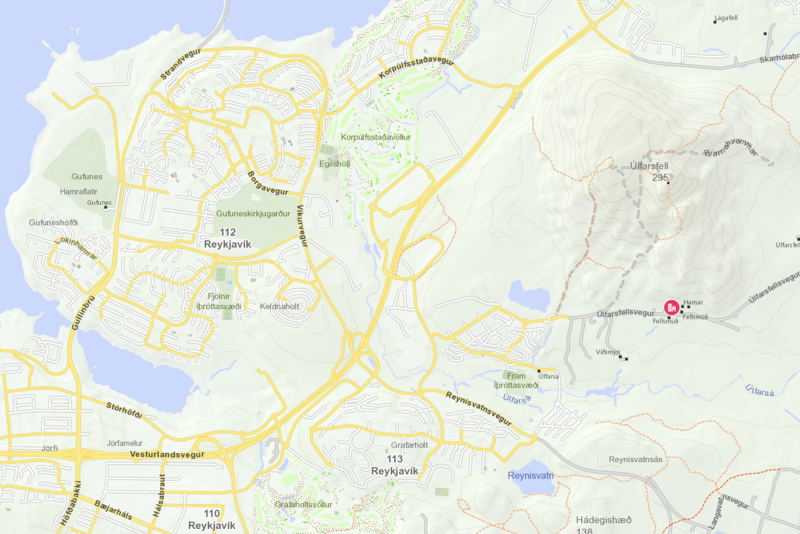 Here you can find information about Akurholt guesthouse, located in the beautiful countryside of Reykjavík. Only 14 km away from downtown but still far enough for you to enjoy the peacefulness of the Icelandic nature. At the same location we have a small horse rental so you will be in touch with typical Icelandic farming life. Are you ready to make your booking? Click the button and go to our secure booking page. Akurholt used to be our home for fifteen years, but as our three sons grew older we decided to move to a close by neighbourhood so they would have easier times getting to and from school, sports practises and friends. We were though not willing to sell the house and the little piece of land as it means a lot to us and is as well home to our horses. We had had lots of guests coming from abroad during our years living in Akurholt and thats how our idea of opening a small guesthouse was formed. We have always enjoyed to be surrounded by people and we like the idea of sharing our home and the way we live our life with people from around the world. The house has four rooms, hosting 9 people in total. The rooms are small – but the house has big common areas where you can meet other travellers, cook your dinner and enjoy life. The house has two toilets and one showe-room. In front of the house is a nice patio and in the backyard we have mount Úlfarsfell. More about our surroundings can be found here. We often say that the true owner of the house is Elsa – our cat, she lives in the house and goes in and out as she feels. Most of our guests have fallen in love with Elsa and she probably gets more reviews than the human do. We also often bring our dogs with us to the guesthouse but in the family there are Border Terrier, Lagotto Romagnolo and White Swiss Shepherd. We hope that they stay in Akurholt will be as good experience for you as it has been for us, and that you feel connected to the place and will return again – next time you travel to Iceland. Our rooms are rather small but comfortable and bright. The common area is spacious and gives you a good opurtunity to mingle with other travellers or just sit back and enjoy the peacefulness of the countryside. The rooms have shared bathroom and access to big fully equipped kitchen. Need a room for two – or do you want to have all the space for your self? Our standard double rooms are great option if you want to stay in a cozy house outside of the city. The rooms are 8m² equipped with comfortable queen size double bed. Don’t like to share the bed or are you more than two people traveling together? Our triple room is 16m² and has three single beds. We are located only 14 km from the city centre but still far enough that you will consider your self to be at the country side. In our backyard there is a mountain and just little bit further up the valley is a beautiful lake. At the same location, we have a small horse rental. We have owned and care for horses for a big part of our lives and some of our horses at the rental have been with us for most of their lives. Our sons are brought up around the horses and have learned to care for them as well. The horses are very important to us and it is mostly thank to them that we decided to open up a guesthouse at Akurholt, as we couldn’t imagine to give up on the horse riding and sell the place when we feet the need to move away from the farm. We hope you have liked our webpage and that you will choose our little place while staying in Iceland. We look forward to host you! We operate a tiny horse rental at the same location. Our tours are private and will give you prefect opportunity to get to know the Icelandic horse and all the culture around it.